Trichy Real Estate - Properties at various locations in Trichy (Tiruchchirapalli) at lowest rates are available. Real Estate in Trichy - Prime location, affordable prices and variety of sizes. 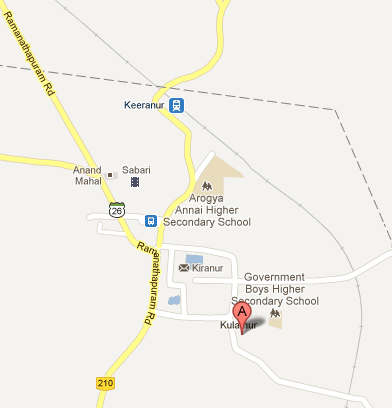 13000 Sqft Approved Property for sale in Keeranur. Suitable for Residential Purpose with Good location and more. Keeranur is a panchayat town in Pudukkottai District. 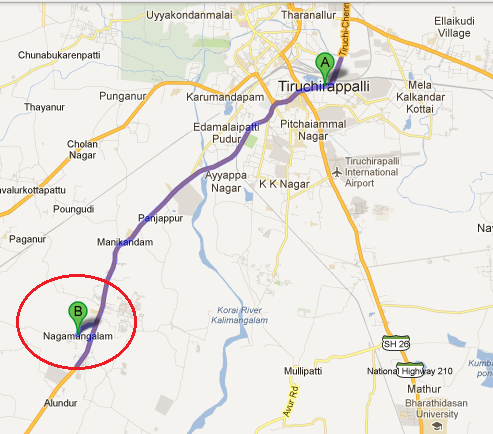 We have land at Nagamangalam, Trichy. It is present at Trichy to Madurai Highway. Fast growing and surrounded by familiar Schools, Colleges and Industries. 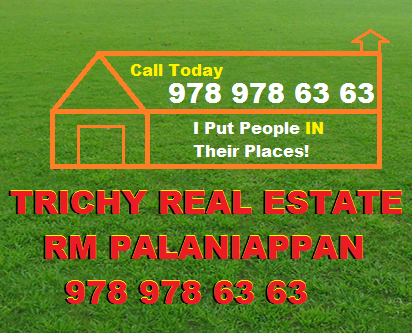 Trichy Real Estate | Trichy Property | Trichy Plots.